Ed.’s Notes: I wish they hadn’t gone with the futuristic look. 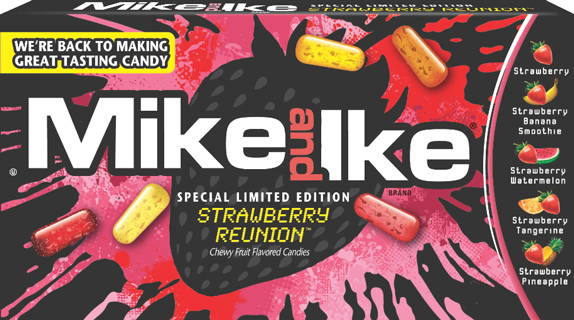 It’s a great story line and trailer set-up is fun but the packaging is just too candy-aisle-generic. More images and the Hollywood-style trailer below (or after the jump). Relevant links: The Shelby Report story. Thanks to Dennis Samson for the tip. Ed. 's Notes: I wish they hadn't gone with the futuristic look. It's a great story line and trailer set-up is fun but the packaging is just too candy-aisle-generic. More images and the Hollywood-style trailer below (or after the jump). 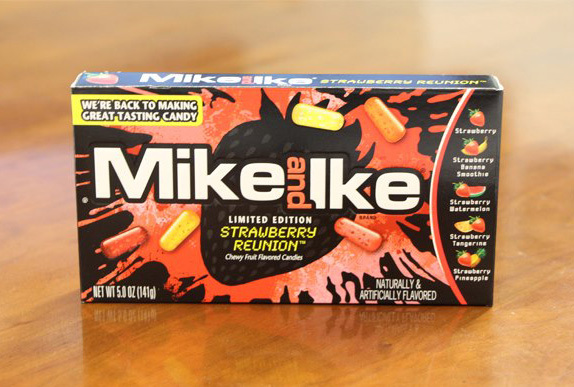 Select quote: \"Last year candy legends Mike and Ike split up because they couldn't agree on new flavors, colors and packaging for MIKE AND IKE candy. You may have heard the story. If not, watch this short video to see what happened and why they are back together (below). The duo has had quite a year.\"